Most productivity “solutions” fit our personalities like a square peg does a round hole. Within weeks of starting my first job out of college, I was sent to the company’s time management training program. I dutifully attended the class and used the planner they provided as I was instructed to do. But in the month or two afterwards, I wasn’t getting much more productive. Not only was I having trouble sticking with the system I’d been taught, I noticed many of my colleagues had let it fall by the wayside, too. I now understand why. There’s no one-size-fits-all approach to productivity. Instead, we need to personalize our strategies for making the most out of our workdays so they’re aligned with our cognitive styles–and that all starts with choosing tools that play to our strengths and preferences. There’s no one-size-fits-all approach to productivity. In fact, most of us already do this unconsciously. We all have our own, habitual patterns of perceiving, processing, and managing the information that guides our behavior. But because we’re inundated with “proven” programs, tips, and tools (backed by a bevy of consultants and practitioners), it’s easy to find yourself struggling to adopt a method that goes against your natural instincts. But you don’t have to. Here are three steps you can take to personalize your productivity. Think about how you prefer to work, communicate, and organize your time. For example, do you usually finish your work work early, ahead of deadline, or do you wait until the last minute? Do you send emails with only a few words, or write novels? Do you gesture and use your hands while talking? Or are you more controlled and stoic in your movements? 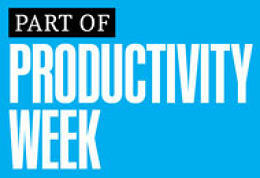 You can also try taking this quick assessment to help you identify your productivity style. Your productivity style is essentially just a way of describing your strengths and skills and how they fit together. The goal once you’ve identified that is to find ways to leverage them. So for instance, if your style is more logical and analytical, you’re in your element processing data and picking apart complex problems. You can focus like a laser on achieving the intended goal or outcome as though it’s a puzzle to solve. If you’re organized and detail-oriented, your strengths are in establishing order, structuring projects, and completing tasks. You’re concerned with making sure everything happens on time and none of the finer points get lost. If you’re supportive and expressive, you’re most skilled at building relationships, facilitating team interaction, and selling ideas. You can keep everyone looped in and help all parties communicate effectively. If you’re a big-picture, integrative kind of worker, you serve as a catalyst for change, brainstorming solutions to problems, and synthesizing disparate ideas. You think creatively to find new, innovative solutions, and you encourage variety–in both thought and execution. So what tools are right for you? Here’s a handful of several productivity tools that are best suited for each of the four main productivity styles. 42Goals tracks your goals and keeps a log of your daily activities. Daytum helps you collect, categorize, and communicate any and all of your data. Witty Parrott lets you create snippets of content once, then seamlessly reuse or share them whenever you want. Classic low-tech tools like legal pads and a label maker can help you get your ideas down fast, revise them as you go, and take a look back later. Toodledo lets you make custom lists, create structured outlines, and view tasks on a calendar. HabitForge is a habit-forming tool designed around accountability that includes daily check-ins and progress reports. Agendas creates interactive agendas and broadcasts them to iPad users. Low-tech tools like label makers, file folders, filing cabinets, drawer organizers, pen holders, and other office organizational supplies might still be a good bet to help systematize your ideas and projects. focus@will is a neuroscience-based music service that helps you focus and retain information when you’re working, studying, writing, and reading. stickK is a habit-forming tool that focuses on incentives, accountability, and community–and if you are unsuccessful, it lets your friends know! Redbooth is a communication solution that plugs into your existing tools like Outlook, MSProject, Box, Gmail, DropBox, and Evernote in order to make them more collaborative. Bold, tactile, colorful office supplies like Moleskine notebooks with unlined pages, and pens in a range of ink colors can provide an outlet for your visually and kinesthetically inclined mind. iThoughts HD is a digital mind-mapping tool. ZenPen offers a minimalist writing zone where you can block out all distractions and see things as though from a clean slate. Cork boards, dry-erase boards, colorful Post-Its, and other low-tech supplies can help you keep notes, papers, and images visible while you rearrange them continuously. Ultimately, your approach to productivity has to be personal. One size does not fit all. But once you do find what works for you, you’ll be able to adapt the system to suit your quirks, rather than fight them.